The Agriculture Ministry's Livestock and Animal Health Services Directorate General is training health officers that specialize in either livestock or human health in Dompu, Bima, and Sumbawa regencies in West Nusa Tenggara (NTB) to stop the spread of rabies following an outbreak in the region. The training was devised after the provincial administration declared that the outbreak was an “extraordinary situation" and a joint veterinary team conducted investigations and vaccinated dogs. For the vaccination against rabies, the ministry cooperated with the Emergency Center for Transboundary Animal Diseases of the Food and Agriculture Organization of the United Nations. "In 2017, the government officially declared that the NTB was free from rabies. However, following some cases earlier this year, Dompu regency has now been declared as a rabies infected area," the head of the Denpasar Diseases Investigation Center of the Agriculture Ministry, I Wayan Masa Tenaya, said during the Rabies Prevention and Control Awareness Program at the Dompu regent's pavilion on Friday. Dompu Regency Livestock and Animal Health Services head Zainal Arifin said that from late 2018 to February 2019 it had recorded 544 dog bite cases from potential rabies-vector animals with five fatal rabies cases. According to Zainal, the spread of rabies into Dompu was caused by people’s customary movement of dogs to Sumbawa and their use of dogs to guard farm crops such as maize. "In addition to the dog vaccination, we also try to limit the movement of rabies-vector animals, such as dogs, from Dompu to other regencies. As of now, all districts in Dompu have reported dog bite cases in their areas," Zainal said. Dompu Regency Health Office head Iris Juita Kastianti lamented that the people did not immediately report to health posts once they got bitten. 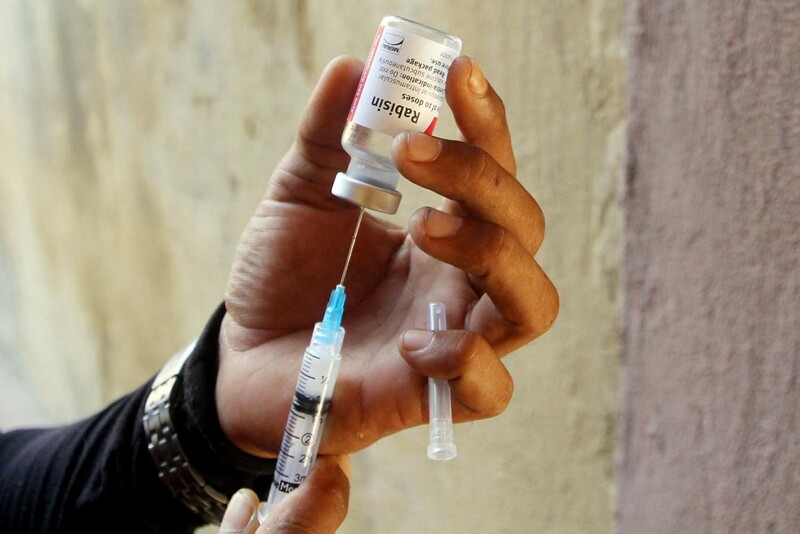 Even after receiving the first vaccine treatment, Juita said, many patients did not return to the community health centers to complete their vaccination courses. “After visiting the health center, a patient receives a mandatory rabies control card. He or she must return to the center on specified dates for an additional vaccination. If they do not complete the vaccination course, that could be very dangerous. Non-treated patients could die in two weeks to two years following the dog bite," she said.